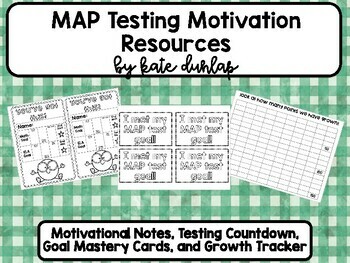 Using these MAP Motivation Resources, students will be focused and incentivized to do their best on their end of year MAP test. 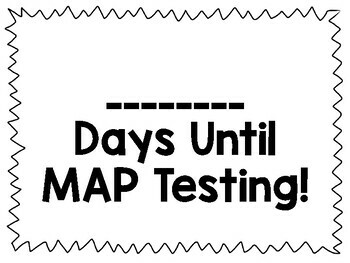 Your students need to be prepared for EOY MAP testing. They’ve been reviewing and working hard for the whole year. This resource will give you ideas about how to pump them up and reward them for their hard work! There are resources to set goals for individual students as well as the whole class. 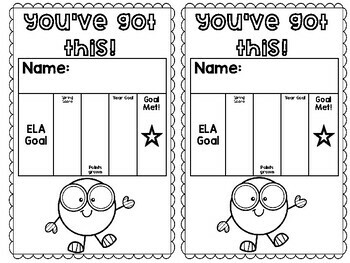 You can use the goal pages to set individual goals for your students. I included ELA and Math goal pages. There is a countdown poster for you to laminate or put in a page protector for everyday use. You can use the Group Goal Chart to record all of the points that each of your students grow on the MAP Test. Students can color in the boxes to show all of the points of growth by your class. 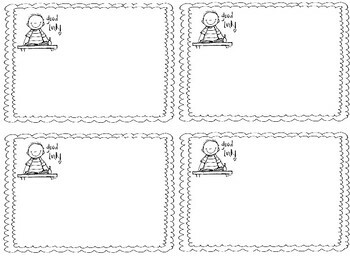 There are also note cards for you to write inspirational and motivational notes for your students. Finally, celebrate your students meeting their goal by making necklaces or stickers to show off their hard work!